As Trump castigates Iran, a long road traversed by Obama seems in jeopardy. Shia Iran, with a relected President, is angry at the unelected Sunni royals of Saudi gaining an upper hand. Trump and the Muslims World : Despite all his anti-Radical-Islam rants, US President Donald Trump chose Saudi Arabia as his first overseas official Presidential visit destination. In his inauguration ceremony in January 2017, he had bitterly castigated “radical Islam” across the world. It is clear that his administration would retain the Saudi line on West Asia, contrary to the Obama outreach to Tehran (Iran). This is a big development and has deep economic and political implications. The Saudis, The Saudis : During his presidential campaign, Trump was extremely critical of Saudi Arabia. He was also not happy with most Muslim countries as he equated Islam with terrorism. That showed in the determination to ban Muslims from entering the US, and issuing of the executive order banning people from seven Muslim countries from coming to the US (this order was later blocked by American courts – displaying again the constitutional balance of power). Volte-face : Trump seemed a changed man in Riyadh. Earlier, his speeches had a significant anti-immigrant and anti-Muslim campaign rhetoric, but now President Trump struck a conciliatory note while addressing leaders from over 50 Muslim countries in Riyadh, delinking Islam from terrorism and said “Islam is peace”. He was careful not to hurt Saudi Arabia’s sentiments. The Saudis won a big reprieve in a situation of deteriorating finances and resurgent Iran. The US shale oil too has hobbled the Saudis (and helped India). Muslims killing Muslims : During his address, he said 95% of victims of terror attacks were themselves Muslims. He highlighted the challenges the world was facing from terrorism, and called for unity in fighting terrorism. It also seemed that the strong Indian diplomatic efforts had worked, as Trump named India as a victim of terrorism and did not mention Pakistan even as Pakistani PM Nawaz Sharif sat in the audience. That later became a problem for the domestic Pak politics. Muslims have to find the solution : He also made it pretty clear that Muslim countries have to take lead in fighting radicalism within, and that the world cannot do it for them. He urged Muslim countries to realize that the virus of extremism has incubated in their own societies, and was wreaking havoc globally. This was a pragmatic and rational Trump who distinguished between Islamist terrorism and Islamic faith. India has been repeatedly saying this for more than a decade already. The Iranians are a huge force : Perhaps Trump made a mistake by not striking a conciliatory note with Iran and hauling them up for supporting terrorism – the reformist President Hassan Rouhani was re-elected a few days back. He perhaps overlooked the fact that Iran itself was fighting Sunni Islamist terror groups, and the Obama effort to get Iran in the mainstream through the nuclear deal may come undone. Human rights, what? The US, always ready to lecture India through its NGOs and others, has overlooked allegations of human rights violations in Saudi Arabia, especially the pathetic condition of women. 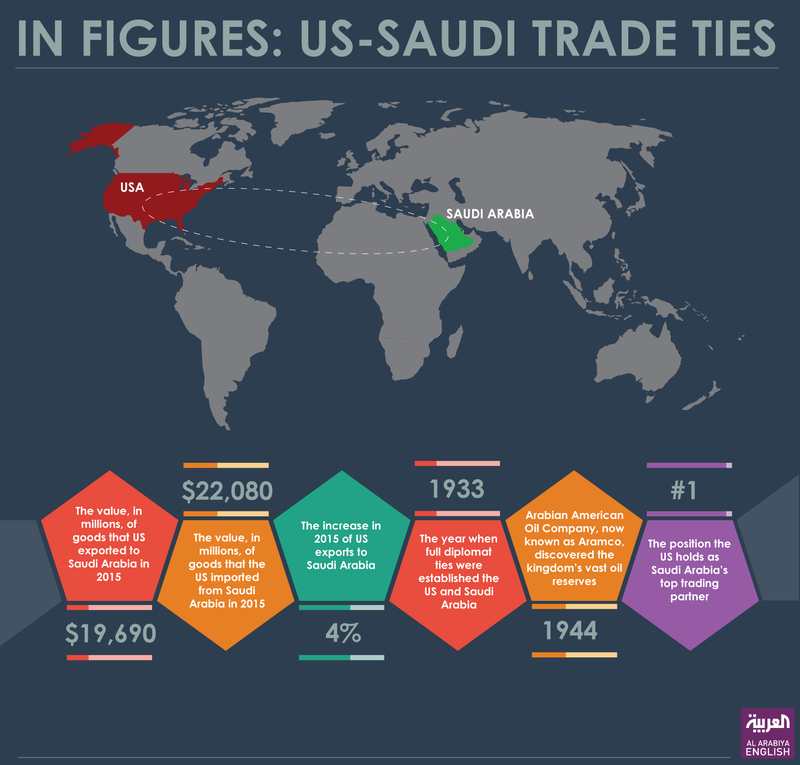 US and Saudi Arabia have deepened ties in energy and defence sectors, and a $ 110 billion arms agreement with the Saudis was signed. This shows how deeply the American military establishment can influence policy decisions (and maybe reflective of Trump’s effort to scuttle anger against him on the Russian embroglio). This cold war, that cold war! America feels that the major cause of instability in West Asia is not just Iran, but the cold war between Iran and Saudi Arabia. President Obama tried to balance America’s interests between Saudi Arabia and Iran, and went ahead with the Iran nuclear deal. But Trump, true to his unilateral style, has struck a different note. Peacemaker! If President Trump wants to be a peacemaker and make West Asia a more secure place, he has to reach out to both sides and urge them to reduce tension in the region. By taking sides, he may complicate the situation. The Trump mission for a more peaceful world is working its way through the Saudi petrodollars, it seems for now. Do check out exams-focussed Confidence and Vocabulary Booster series of learning resources here! Bodhi Saar Prashn : a fantastic collection of all quiz questions for your revision - here!